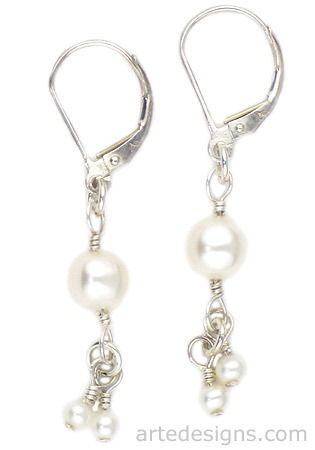 There is no such thing as having too many pearl earrings. These natural pearls are full of lustre and will brighten up your face. Perfect for brides. Approximately 1.75 inches long. Sterling silver leverback wires.